Bill Maher and world-renowned biologist Richard Dawkins took Islam to task during the former’s Real Time show on HBO this weekend, leading liberals to engage in a series of meltdowns nationwide. “Oh, I’ve heard that,” Maher laughed. “Its so dumb because all of the people being accused of being Islamophobes, like you and me and Sam (Harris), we’re liberals. We’re liberals about everything,” Maher explained in his critique of the modern progressive movement. The left now freaks out “if you say something about a woman who is forced to wear a bee-keeper’s suit in the hot sun all day,” Maher complained about the niqab. “Oh, that’s their culture, you have to respect it,” Dawkins joked. “The hell with their culture,” he concluded. The left responded to their critique predictably, and with fury. 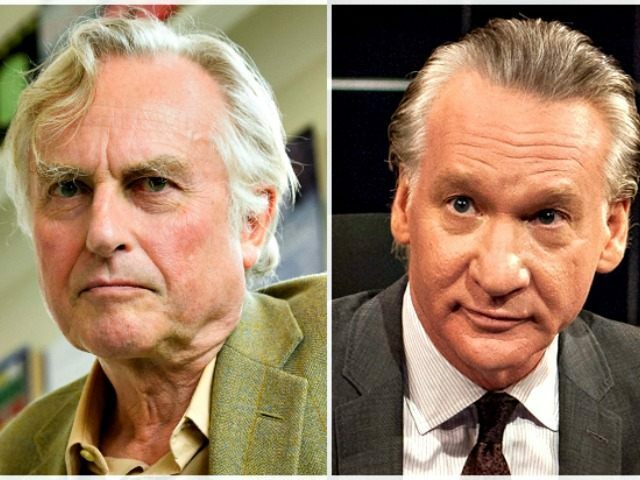 At the Daily Beast, author Melissa Leon, writing a heavily-editorialized summary of their remarks, said that “You can imagine Maher’s glee” when Dawkins decided to go on the offensive against Islamic supremacists.